Owl Time Clock offers great automated timers to help you better manage your facility's resources and your employees. Need to control coffee and lunch breaks? Cut labour costs with one push of a button. If you don’t always have regular coffee break times scheduled, how can you keep control of the time employees spend on breaks? The Owl Time Clock Coffee Break Timer enables a supervisor to start the coffee break with one push of a button and end it at a predetermined time. With as few as 10 employees, 5 minutes of lost productivity can cost as much as $10 per hour and up to $2,075 annually! 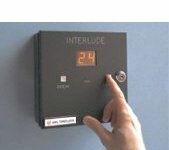 This economical interval timer enables you to control coffee breaks and save money. The Coffee Break Timer operates independently or can be connected to a time clock. Do you have a need to program specific time intervals to reduce energy costs? 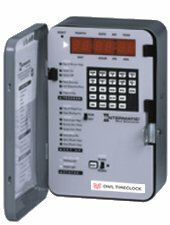 The Owl Time Clock Intermatic Timer is programmable for up to the minute / 7 days a week requirements and Interval, Astro and Pulse options offer flexible control for outdoor lighting, bell ringing or after-hours temporary overrides. The memory protects programmed switch times for the life of the unit and a lithium battery ensures that the unit delivers accurate timekeeping and calendar information for up to 8 years!